WATCH out Len “Boogsie” Sharpe! 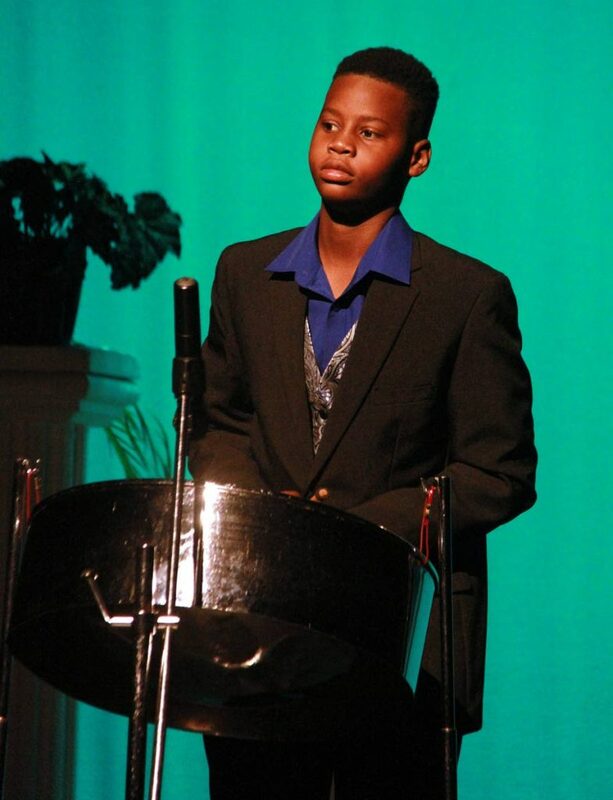 Eleven-year-old Jeremy Granado has set his sights on being the next master arranger of steelpan music. He wants it all – to be the best pannist, best drummer and best band leader this country has ever produced. 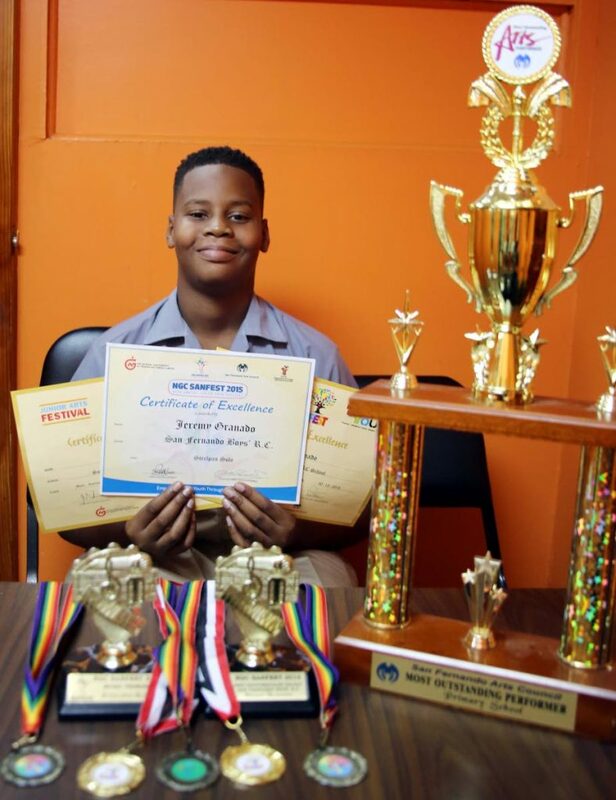 Since 2015, Jeremy has been entering and winning competitions for San Fernando Boys’ RC School which has rewarded him with the captaincy of its steelband. He alternates between the drums and the pan, depending on the selection. In his debut year at San Fest 2015, Jeremy aced the competition with a Vanessa Headley arrangement of Kitchener’s Pan in A Minor and walked away with the trophy for best pan solo. Encouraged by his victory, he entered the competition again in 2016 in both the pan solo and instrumental solo categories. His sister Joelle, who was a student of St Gabriel’s Girls’ RC at the time, dethroned him in the pan solo category. He redeemed himself, however, by winning best instrumental solo (drums). In 2017, he received certificates of excellence in both the drum and pan categories. In November 2018, he surpassed his previous records being declared the most outstanding performer, under 12, at San Fest having won the best pan solo and second place in the instrumental solo (drums). “It was one of my proudest moments,” said Jeremy, who also performed over the Christmas holidays with his schoolband at its concert held at the National Academy for the Performing Arts' campus in San Fernando. The band also entertained shoppers at Gulf City Mall and played at two benefit concerts at Our Lady of Perpetual and Christ the King RC churches, San Fernando. Jeremy's parents, Charmay and Peter, gave him his first drum set when he was three. 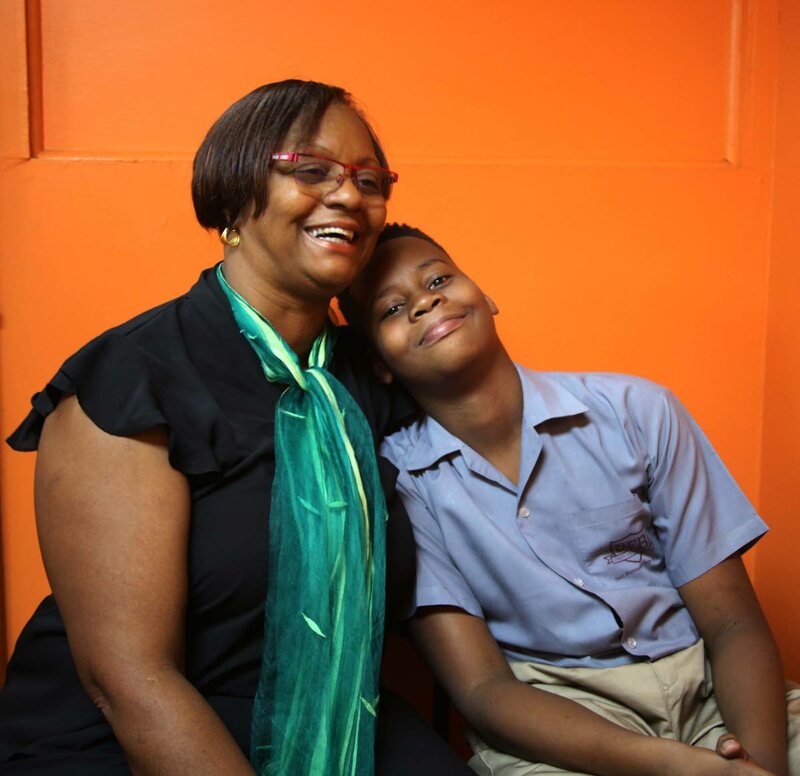 After his many requests to play the steelpan as well, his mother enrolled him with Golden Hands to begin his formal training. He was four when started playing the tenor pan under the tutelage of Headley. Impressed by what she was hearing, his mother also started recording his performance as he experimented with his own beats and arrangements at home. The recordings, said Charmay, are for the archives as she felt certain he is destined for greatness. “He is a natural. It’s all in his head. His life is centered around music. Everywhere we go, he would tell me, 'mummy hear that, hear that beat,'” she said as Jeremy demonstrated his gift, continuously drumming on the desk and chair during the Newsday Kids interview. He wants to one day start a family band. When he is not playing, doing lessons in preparation for SEA next year, or serving as an altar server at Our Lady of Perpetual Help, Jeremy is fixed to the television or on the internet listening to renowned pan players and drummers or watching basketball. At over five feet tall, he also has a passion for football and basketball. His favourite basketball player is Stephen Curry of Golden State Warriors. “He is doing well with his academics and with his extra-curricular activities,” said his proud mother. "What he is doing right now he loves, so he is balanced."